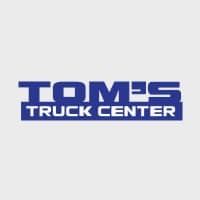 Tom’s Truck Center offers many different repair services for your commercial truck needs. Five out of every ten trucks that we see, have the check engine light on. Obviously that can mean a lot of things, that’s why we offer such a large array of services. Something as simple as an oil change, tire rotation and balancing, and filter changes. We also have the ability to work on more intricate repairs like brake replacement, muffler repairs, and transmission repairs. Another concern for many of our customers is the check exhaust light. Similar to the check engine light, but for your exhaust system. You don’t want to take your truck to just any repair shop to work on this highly technical system. By bringing it to Tom’s, you are leaving your truck in the hands of factory certified technicians with sophisticated tools to get the job done right! Tom’s Truck Organization has two convenient locations for your commercial service needs. We have our Grand Ave. location in Santa Ana and our LA county location on Freeway Dr. in Santa Fe Springs.